Details zu UNIQUE AND EXCLUSIVE: Mounted sketch from DAVID GILMOUR from PINK FLOYD !! UNIQUE AND EXCLUSIVE: Mounted sketch from DAVID GILMOUR from PINK FLOYD !! 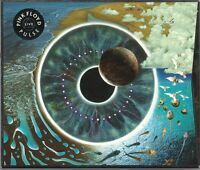 (CD) David Gilmour – About Face - Blue Light, Love On The Air, u.a.